But hey, everyone is entitled to some slack, right? Nope. No slackers here and no entitlement. Ever. There is already too much of that in the world and you make things worse by thinking you are entitled to “something” even if it is only a few weeks of slack from writing! That was my thought process about my blog for a while. But still I couldn’t come up with something more original to post about. While I absolutely love nature and wildlife, the original thought behind this blog was to show the beauty of Manitoba. Crazy looking skies are indeed beautiful as shown here, here, here, here or here, but after a while people are supposed to look for themselves at those beautiful prairie skies. Then comes nature. there are too many posts to show here about birds, birds and more birds. While they never tire me, writing about them becomes routine and for me, uninspiring. That’s where the problem starts. In general, the idea is that writers need to write, every day again and get better at what they do. But how can you get better if the subjects are not as inspiring as you would like them to be? I can write about anything like a journalist. Ten different subjects in a day and each less inspiring than the previous one. 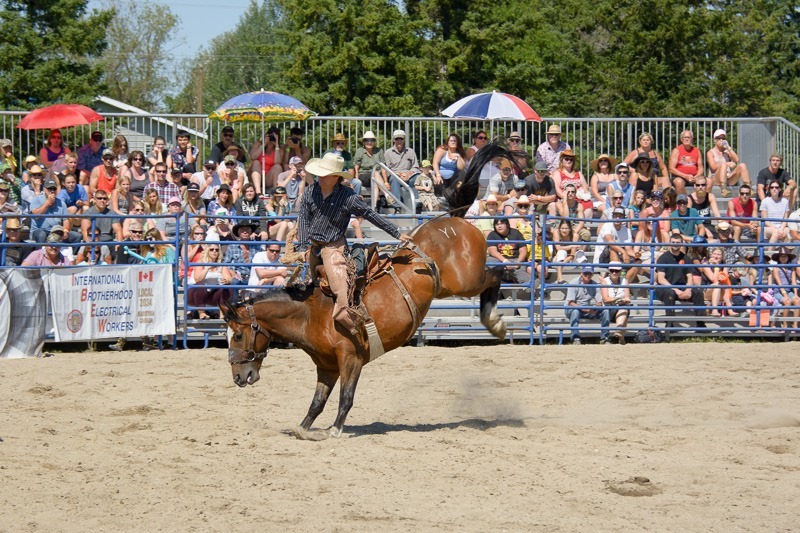 This blog entry could have been about rodeos in general. But from the pictures alone you can see that the show was great and pretty dangerous looking. 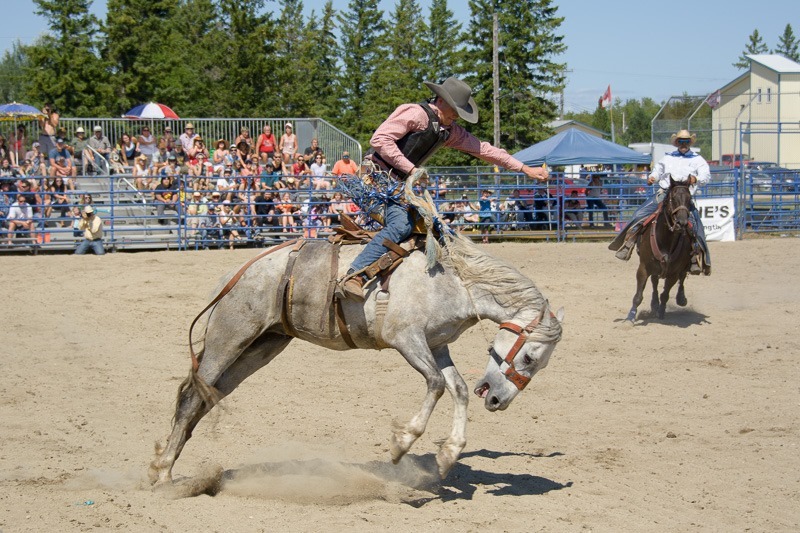 Unless I tell you about the intricacies of the rodeo in fine details, there is nothing much to say. Most people just want to see the pictures anyway . 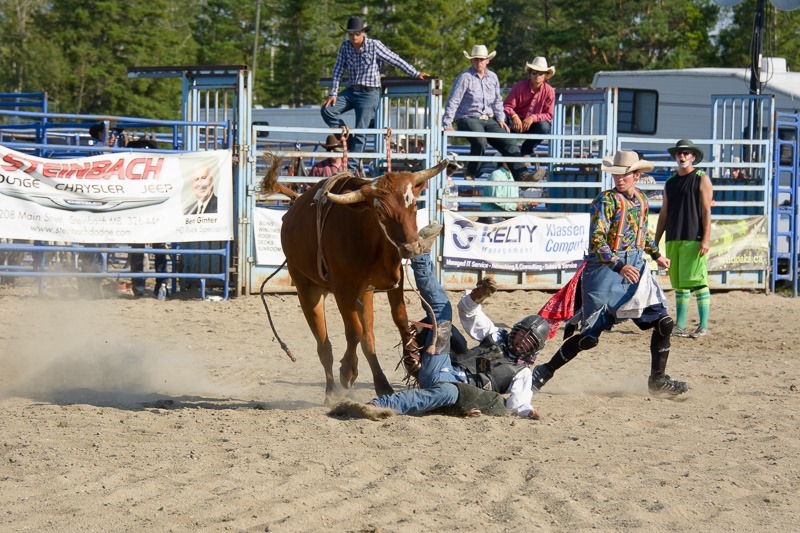 Nah, nobody got hurt in this rodeo apart from a few bruises. Even the horse that seems to take its vengeance on the rider is not that evil. 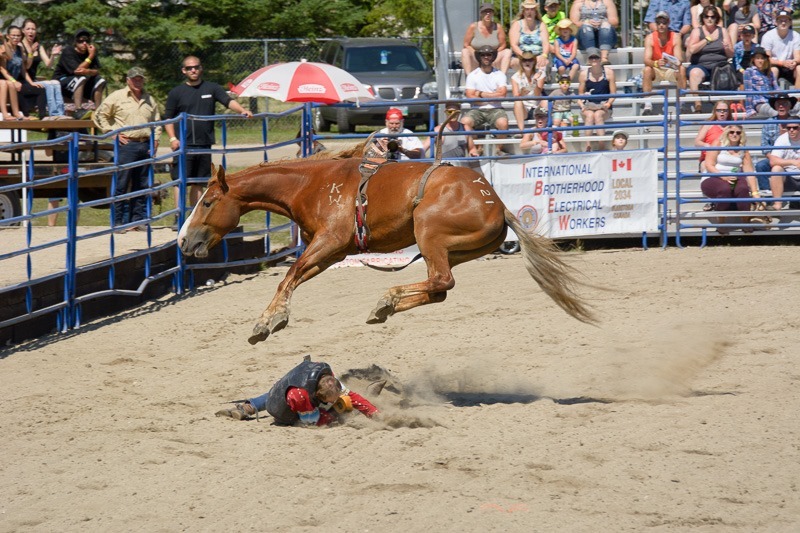 It preferred to fall on the ground over trampling the rider. Both walked away without a problem. Those riders do the same thing every weekend and every show again. But each time they face different situations and moods of the animals they mount. Or abruptly dismount . Not a single show is the same, no routine, no ruts. Or is it? If even kids can do this, then there must be a passion for the sport and the show that drives them, making them accept the risk of broken bones and bruises without a question. 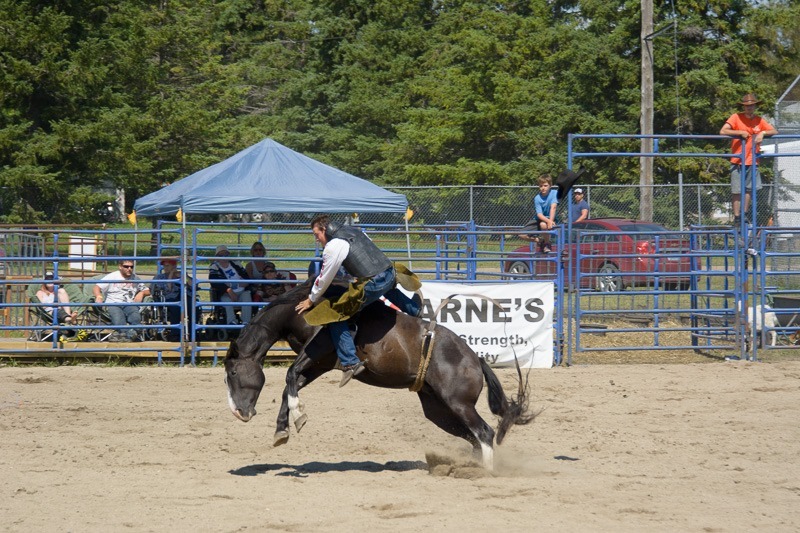 I wouldn’t mount a bucking horse in my life, not even a lame one, but would they write a blog every week? Probably not. Everyone has his or her own motivation to do the things they do. Even the youngest ones, like here, on a sheep. That was fun to watch and no doubt a huge thrill for the 5-6 year old kids trying to mount them. These riders are never bored, tired - sometimes, broken even, but they never quit. I guess it should be like that with writing too. You just have to find that motivation sometimes. 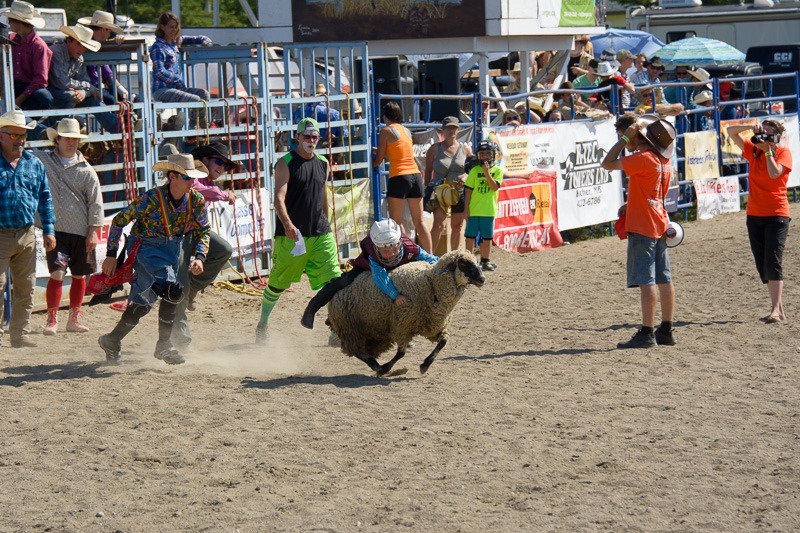 Like the calves in the roping contest in the rodeo, they sometimes get away, sometimes you catch them. And when you do catch that calf, well, you have a story; if you don’t, you write about something you already know and hope for the best. You can’t win all the time. 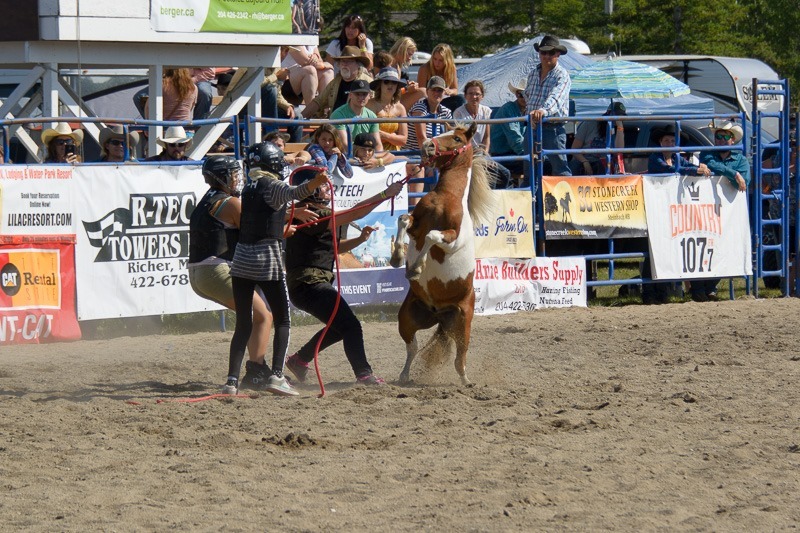 Just like the rodeo, sometimes the animals get it their way. 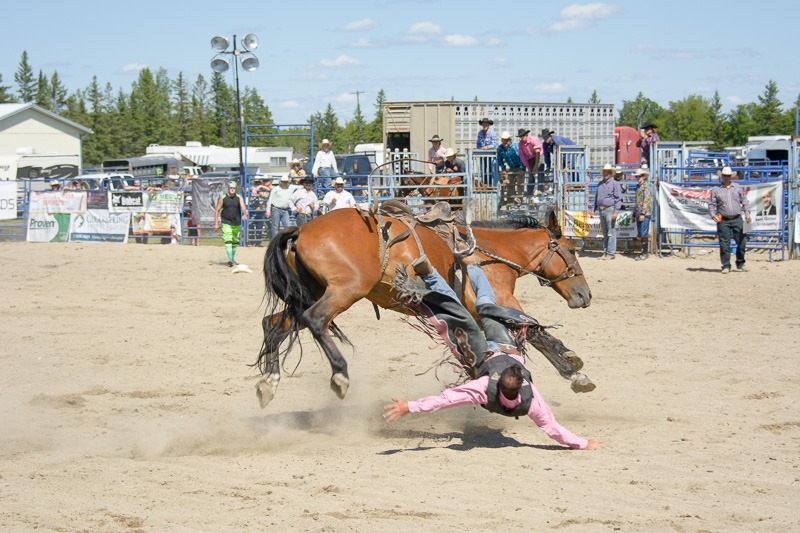 Bone breaking, however is reserved for the rodeo riders. Happily I don’t see my keyboard bucking under my hands, trying to throw me out of my chair and break my bones. That’s an advantage for blogging . 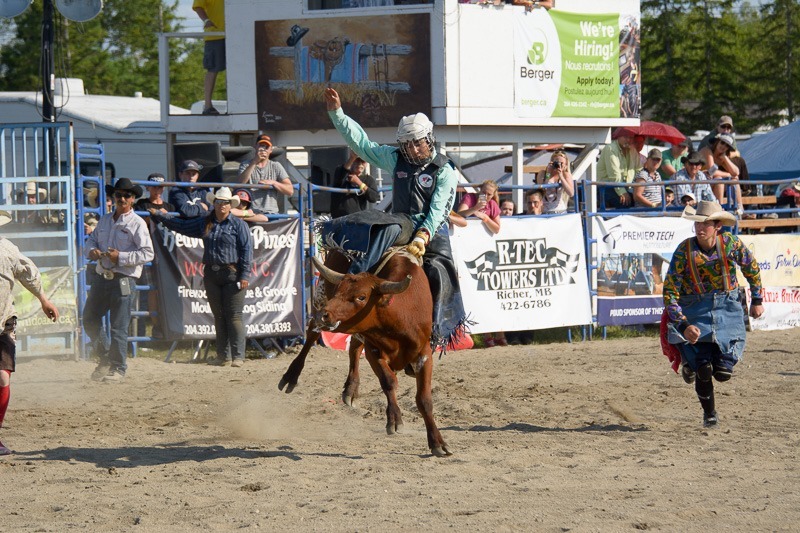 All the pictures were taken at the Richer Roughstock Rodeo on August 6, 2016.